We have chosen our new book for the Chamonix Book Club! 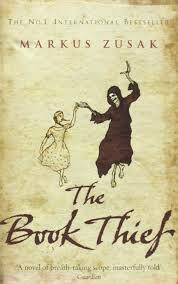 After much deliberation ‘The Book Thief’ by Markus Zusak was chosen. It was my turn to choose this time and I eventually decided on The Book Thief because I thought it was an original concept having the story narrated by Death, and more than anything I’m interested to see how the story is written. Having now seen the size of the book I’m a little nervous! We may possibly have to push the prospective date back to allow everyone to read it! Stay posted to find out what we think of it, and let me know your own thoughts on the book.